A call heard over and over at the March For Our Lives this weekend was the line, “This is not a moment, it’s a movement.” Aside from the moving student speeches, and the powerful aerial shots of a country marching in solidarity, one of the most significant parts of the whole event was the number of people (young people, especially) who registered to vote. Voter registration is why March For Our Lives will transcend a powerful few hours on a Saturday to become a movement against gun violence. The landing page for MarchForOurLives.com immediately prompts you to register to vote. At the Washington D.C. March alone, Headcount (an organization that registers young voters at concerts) reports that they registered nearly 5,000 people that day. League of Women Voters said they registered 150 people at a single New York City march. 800,000 people marched on Washington, and organizers estimate that there were 800 marches or affiliated rallies held around the world, so we can only imagine the number of people and teens who registered at the many events. Registering to vote wasn’t a convenient side effect of the marches — the student speakers at the Washington March all emphasized how important it is for their peers to get out and vote. Hey. If you were inspired by the #MarchForOurLives but you're too young to vote -- call your grandma. Tell her about active shooter drills. then ask, "Are you registered to vote? Do you promise you'll vote? Because it's really important to me." You have the power! And for the youth who attended a march but won’t be 18 this year, one of the biggest pushes from this entire movement is encouraging parents to vote for candidates dedicated to gun control. 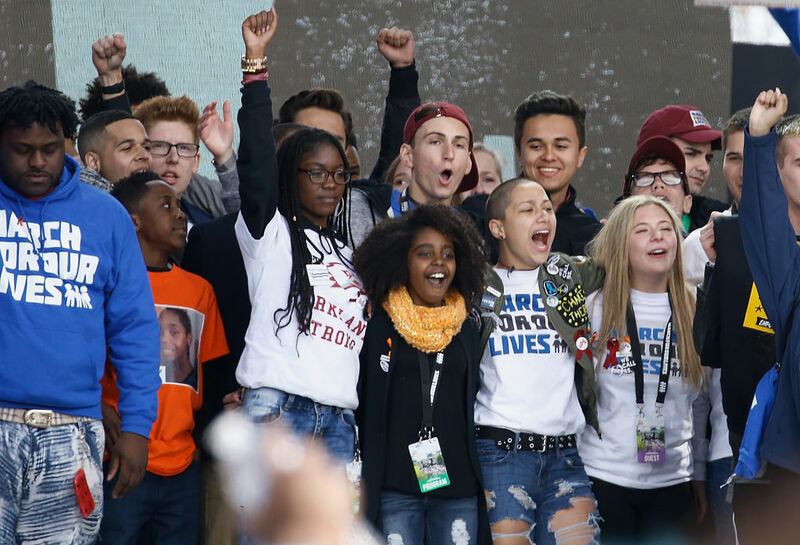 Movements like Parents’ Promise to Kids hold voters accountable to their children to vote in favor of politicians who aren’t bought by the NRA. Learn more about the movement and register to vote here.